Image used with permission from MAAX Spas Industries Corp.
Now that summer is just around the corner, it’s time to start getting your backyard room ready for the warmer months. While most of our backyards are equipped for entertaining friends and loved ones during the evening, unless you have a swimming pool your backyard is pretty much off limits during the day. But how do you cool off if you don't want a swimming pool? Don’t get me wrong; I love a relaxing dip in the pool as much as the next person. Unfortunately, nowadays backyard swimming pools can be quite expensive, challenging and require a lot of maintenance. 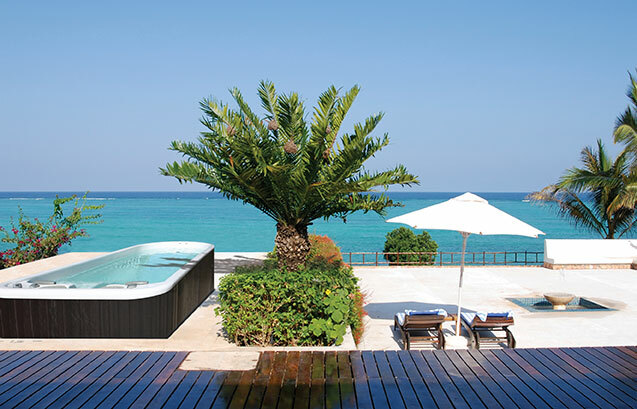 Thankfully, there are plenty of new alternatives to the conventional swimming pool that are worth trying out this summer. These elegant and eye catching alternatives can really add a more luxurious feel to your backyard room. Similar to a high-end sauna or spa, the outdoor shower will add a tranquil and serene element to your backyard room year round. This fully functional decorative piece can be used for anything from filling canisters for watering the plants to cooling off after spending the day sunbathing. Remember, there isn't just one way to design an outdoor shower. Tap into your inner god/goddess and create a more divine look or stick to the basics and incorporate a simply beautiful design. As you consider the options for cooling off this summer in your dream backyard, a MAAX Spas swim spa presents many appealing advantages. For example, the construction of a traditional pool can take weeks while a swim spa can be done in a day. 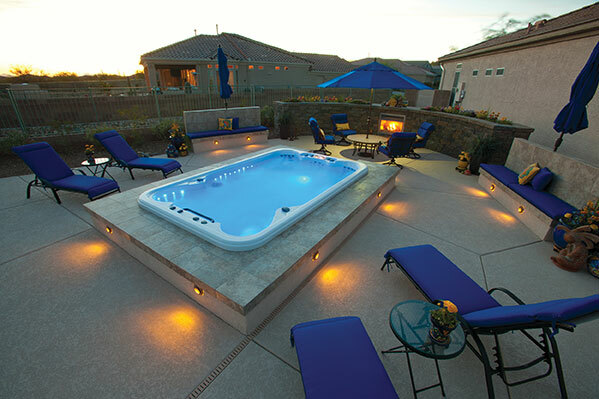 A swim spa can be easily integrated into smaller backyards as well. Images as seen on powerpoolswimspas.com. Aside from the functionality and ease of use, a MAAX Spas swim spa even has a lower cost of ownership and more utility than a conventional inground pool of similar size. So whether you are looking for a quick and easy way to cool off this summer or you are looking to transform your backyard all together, these alternatives to an in-ground swimming pool will help you achieve just that.